Fresh Off the Heels of ROBOWOMAN Comes V/H/S Violence, Ferguson's Next Shocker! MURRIETA, Calif. - Jan. 6, 2019 - PRLog -- Anthology films have seen a resurgence within the Horror genre in the last few years. Independently produced movies like "The ABC's of Death", "V/H/S" and "Trick 'R Treat" have garnered wide release and mainstream appeal. Taking a cue from the classics like "Tales from the Crypt" and "Creepshow" these modern day slices of cinema breathe new life into the genre and attract new fans worldwide. 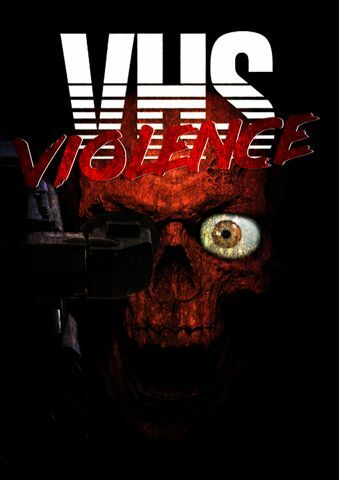 "V/H/S Violence" is the latest offering on the scene, and it comes from award-winning filmmaker Dustin Ferguson ("Nemesis 5", "RoboWoman"). The film is about a young woman (Valerie Mulligan, "Bikini Swamp Girl Massacre") who, while arriving home one evening, discovers a mysterious package containing a VHS tape on her doorstep. She decides to view its contents and is soon witness to a slew of grisly and shocking segments before meeting her own gruesome fate. Ferguson directed four of the segments, "Snuff Kill", "Drive By", "Stalk 'N Slash" and "A Day in the Park" as well as the "wrap around" piece. The remaining stories were helmed by filmmakers Tony Newton ("Grindsploitation"), John Ward ("Meathook Massacre 4"), Sam Mason Bell ("Conspiracy X"), Ken May, Augusto Gomez, Jason Impey, Jason Horton, Miles Roper and Tolemy Kneely.